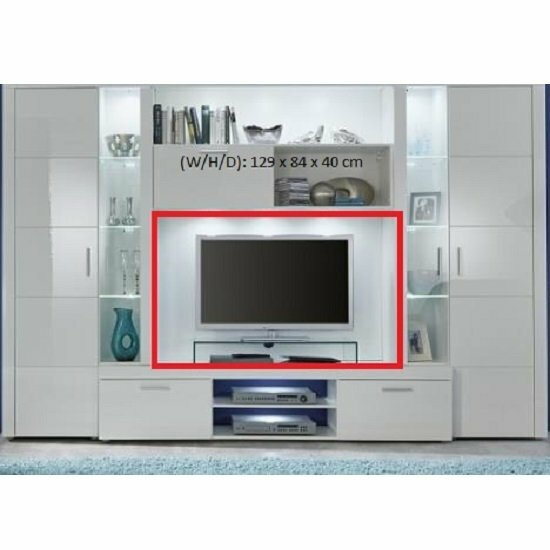 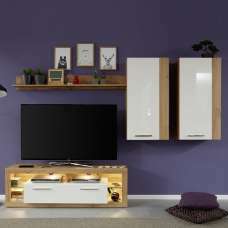 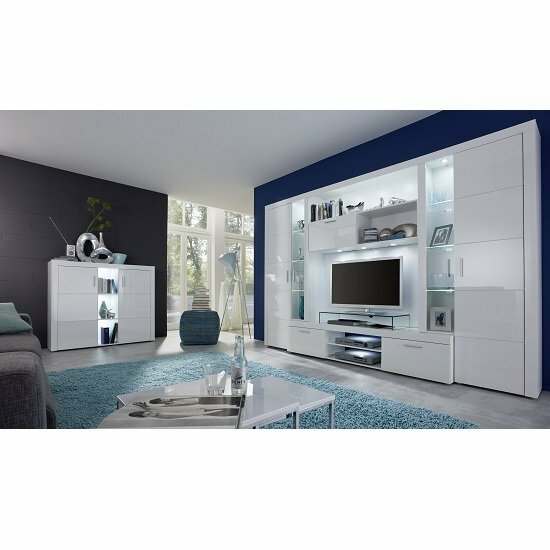 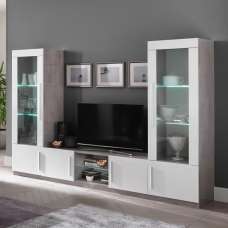 Roma Entertainment Unit In White With High Gloss Fronts And LED, is a modern solution for the display of flat screen TV's and media systems. 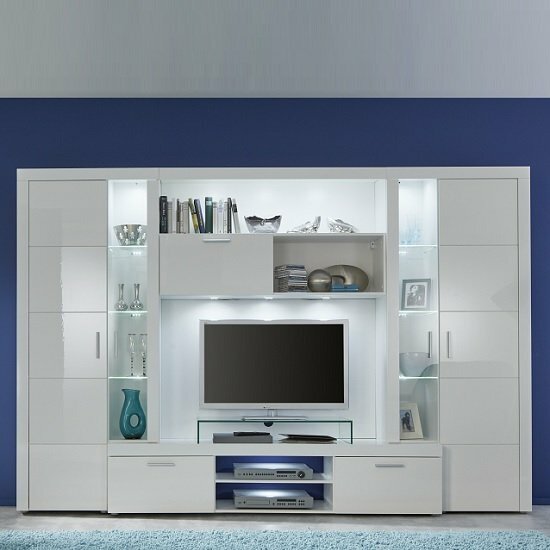 Finished in White with high gloss. 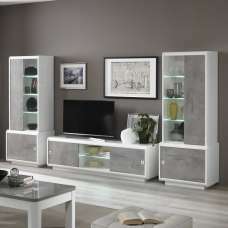 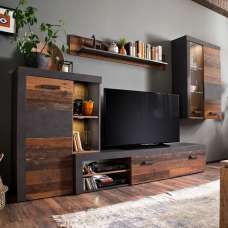 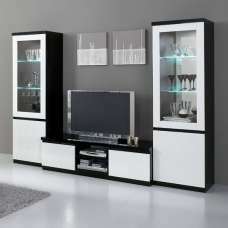 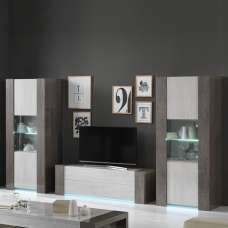 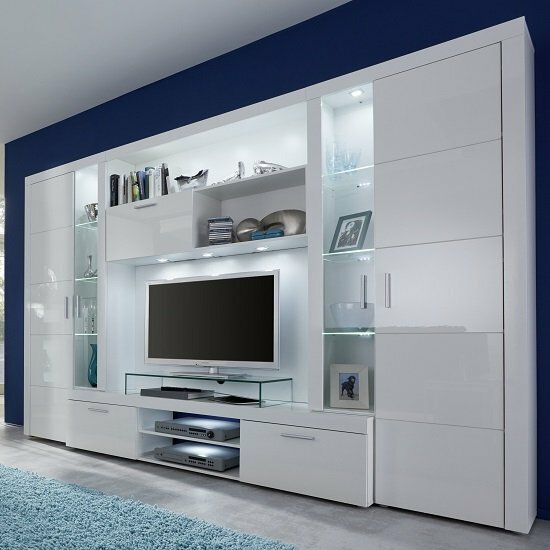 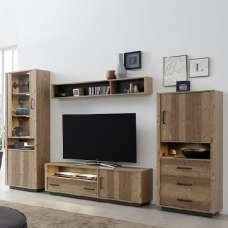 This unit provides a contemporary display and storage solution for the modern home. 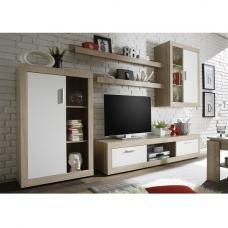 Smooth finish and versatile piece makes a lovely and elegant addition to any modern home decor.